Android car audio and android car navigation systems are the new trends! Though, there wasn't a way to have the tablet power on when you turn the car on and vice versa, just like a stereo.? Autosleeper Power ON OFF does that for you now! Each time you switch off your cars’ engine your android goes automatically to sleep within seconds. When you turn the car’s engine on again and power supply starts, your android wakes up on its own and continues exactly where you left it. 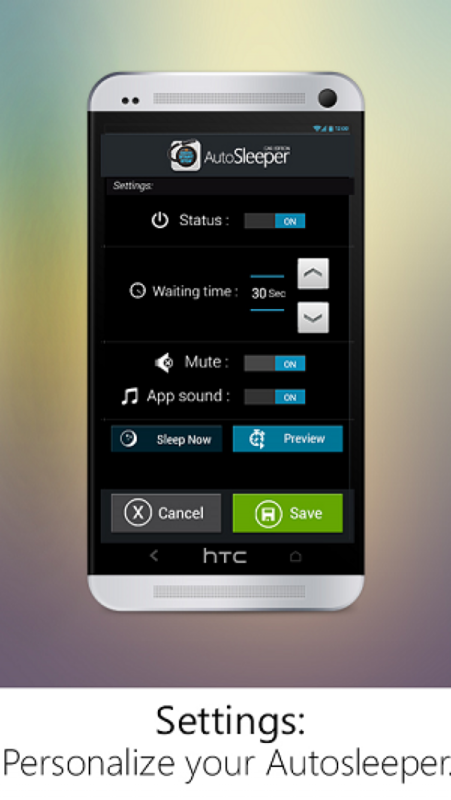 This FREE & useful Android tool enables Automatic Standby Mode when you disconnect your device from charger and when you connect it; your device is On again! No looking for the Power Button anymore! Android rooting opens up another possibility. If you root your android you can tell your device to go to Off Mode instead of Standby. Then, in order to activate your device again, you just turn it on manually. - If you have told your device to go to Off mode, you just turn it on manually. 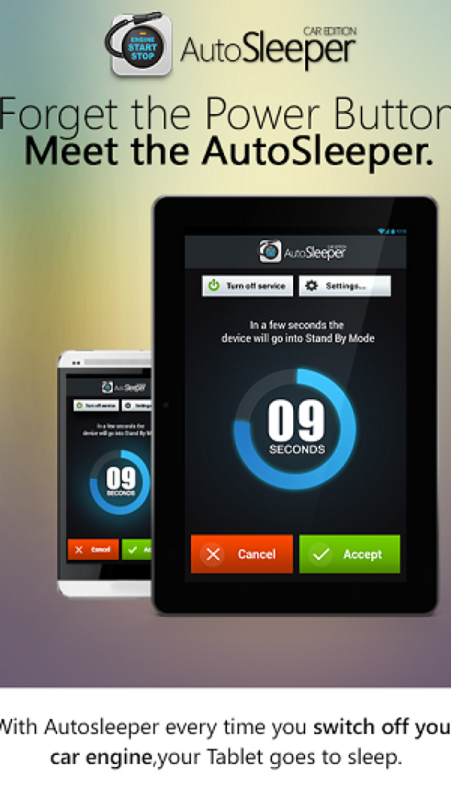 - You can decide within how many seconds after you turn off your engine, you want your Tablet to be deactivated. Supercoders, is a global community of tech driven visionists working together to build innovatove Internet services, accessible by everyone, so people can maximize their experience.